THE ULTIMATE SUPER SPORTS CAR. CHIRON SPORT’s bold exterior encapsulates a firmer chassis setting, all-new dynamic torque vectoring function and a sport focused suspension setup. Expressive design features lend the interior and exterior a compelling, sporting look. 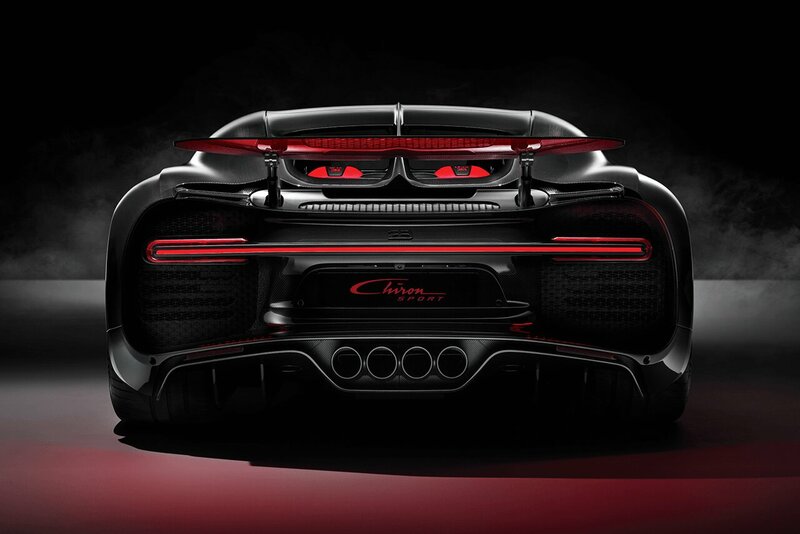 Together with an overall weight saving of 18 kg, the result is an all-new character for BUGATTI CHIRON. CHIRON SPORT's cabin boasts an extraordinary ambience of distinctive exhilaration and sumptuous luxury with an elegant material mix of Alcantara, leather and carbon, together with drive mode rotary knob and engine start button finished in black anodised aluminium. Optionally, all trim parts can be finished with this black sporting touch. Firmer suspension set-up (applies in handling mode only) includes a new damper control strategy for sharper and stiffer response. Experience greater performance around tight corners thanks to an optimised rear axle differential setting and the all-new dynamic torque vectoring function. Attention to detail: the divine centre console is enhanced by optional black anodised design features. 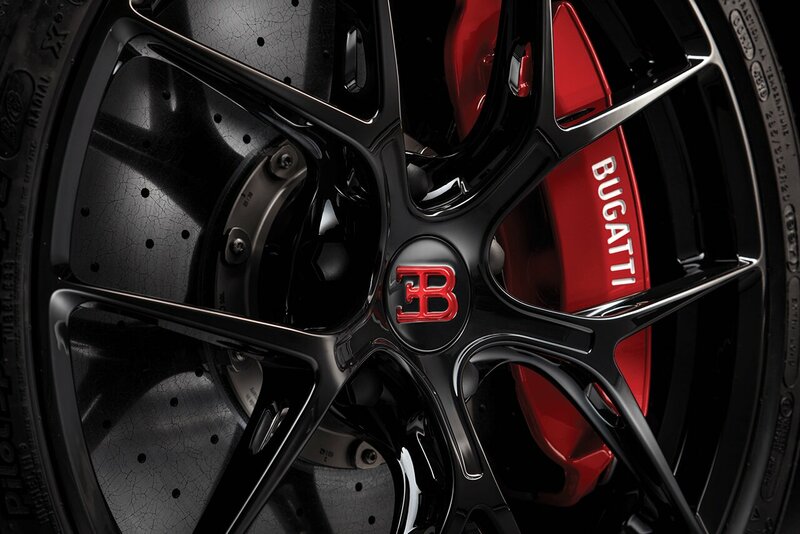 New components, such as the new lightweight wheels reduce the CHIRON SPORT’s weight to further increase agility. Carbon fibre windscreen wipers are a worldwide first for any production car - another example of how BUGATTI perfect every detail to create automotive art. Lower weight, sharper expression - a specially developed rear window sits above the stunning carbon fibre intercooler cover, which can be optionally painted in the car’s exterior colour. Refined racing touches give the CHIRON SPORT a bold sporting character, emphasising the unmistakable BUGATTI blend of distinctive exhilaration and sumptuous luxury. The new four-pipe exhaust deflector leaves a lasting impression. 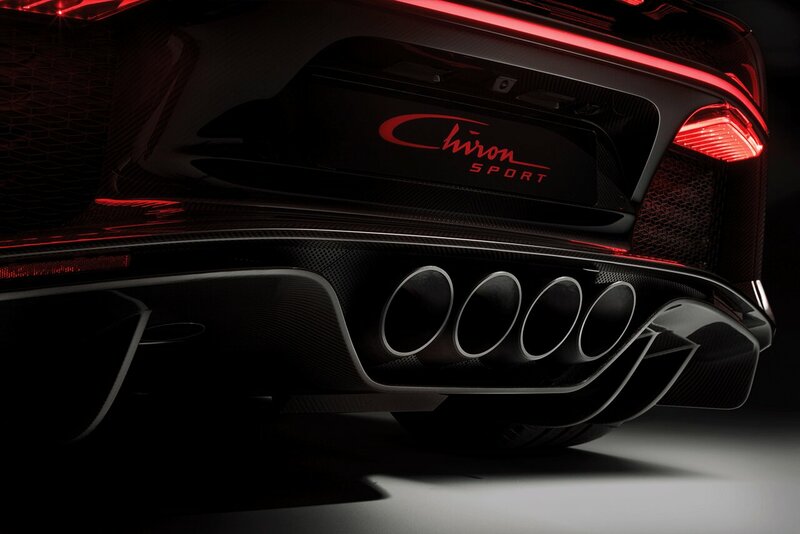 The optional black anodised components and Alcantara detailing illustrate CHIRON SPORT's dynamic character. 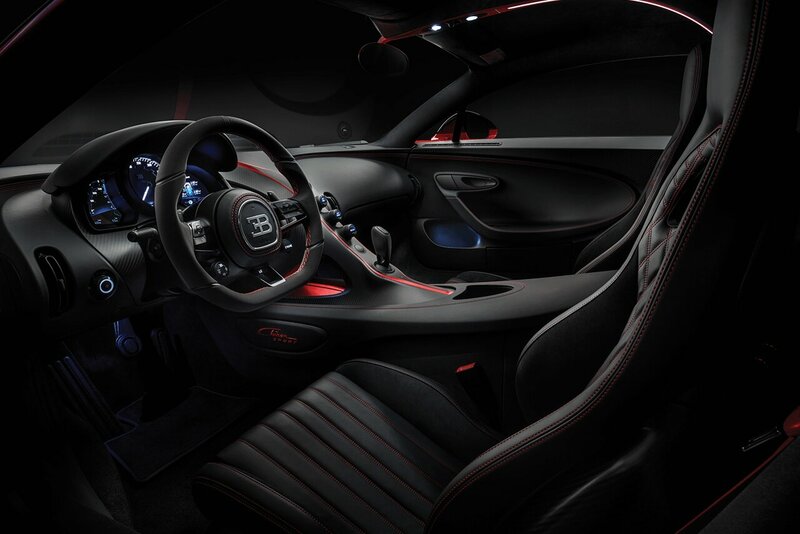 Exquisitely crafted: the centre console inlay with “CHIRON SPORT” stitching. The optional grey carbon fibre exterior and the black anodised rear light bezel underline CHIRON SPORT´s distinct personality. 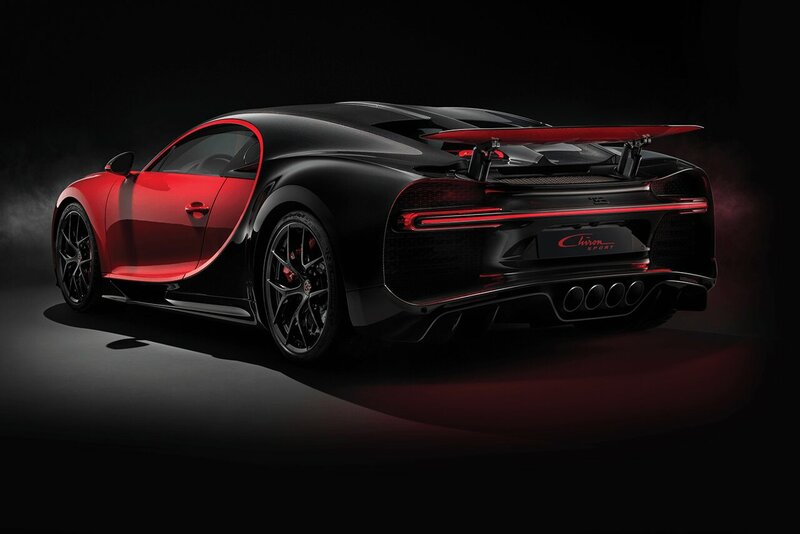 EB Logo shown in optional black trim highlights the character of the CHIRON SPORT. Specially developed for those in search of a unique sporting character. The BUGATTI CHIRON SPORT combines enhanced handling performance and astonishing agility with distinctive design and superlative comfort – an unforgettable driving experience. 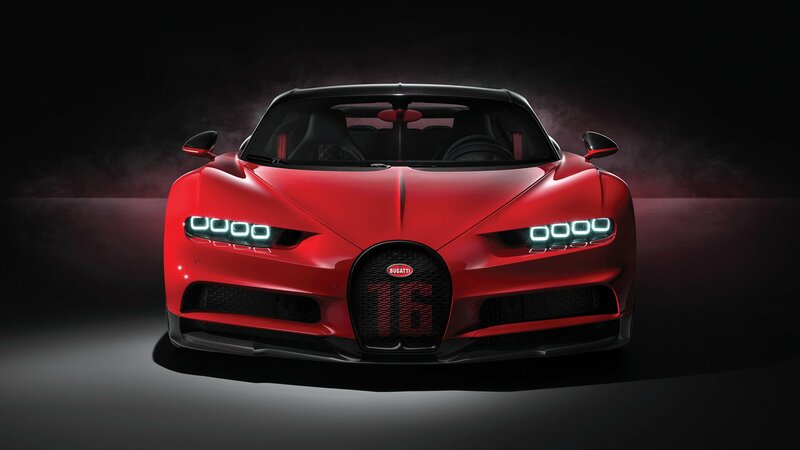 The "Italian Red" Geneva Motorshow car´s horseshoe features a red painted ´16´ to honour CHIRON's 16 cylinders.